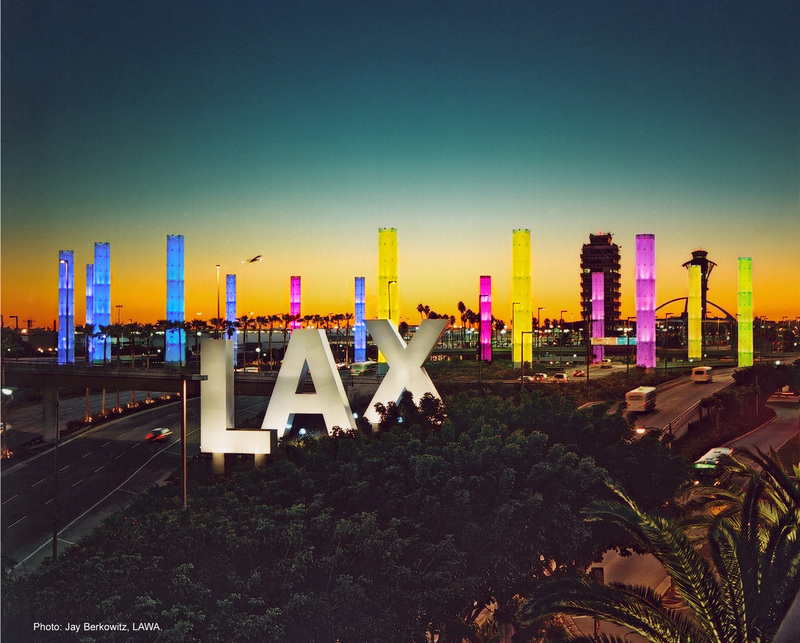 The iconic Gateway pylons at Los Angeles International Airport (LAX) have been lit to honor and celebrate all sorts of holidays, events and special memorial days and this past weekend the pylons have been lit up in rainbow colors in recognition of LGBTQ Heritage Month and LA Pride Week. The pylons stretch out for 1.5 miles of the approach to LAX on Century Boulevard, grow in height from 25 to 60 feet and are most visible as a ring of 15 100-foot-tall columns at the entrance to the airport. They were installed in 2000, received a major upgrade in 2006 when the original lamps were replaced with 2,000 light-emitting diodes (LEDs) and can now display more than 16 million colors.